Bristol Civic Society is dismayed to learn that a proposal is going to the Cabinet on Tuesday 13th January, which could lead to electronic advertising hoardings in Bristol. The Cabinet is being asked to approve the appointment of a preferred operating company, to be offered two prime sites on council-owned land – at Bond Street at the bottom of the M32 and Temple Way underpass. And a possible third option. Although this would be subject to planning permission being granted, Bristol Civic Society is concerned that the Council is setting expectations that the digital advertisements will be given the go-ahead, and has put pressure on itself to grant the planning permission. This would set a strong precedent for applications for digital advertising in other parts of the city, something that has been resisted to date. Bristol Civic Society is shocked and dismayed to learn that the cabinet is to be recommended to approve the Council entering a partnership with J C Decaux to establish digital advertising at Bond Street, Temple Way Underway and a possible third option which appears to be at James Barton. (Item 6 – Cabinet, 13 January.) 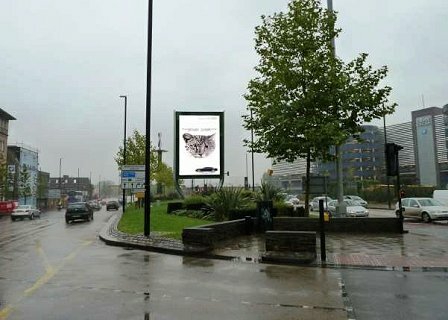 The Society has robustly opposed proposals for LED digital screens at the Fish Docks Site Bath Road Bridge, Colston Tower, The Galleries, and at the junction of Stokes Croft and Jamaica Street. We have been particularly impressed and gratified by the stand taken against this highly intrusive form of advertising by the Council’s planners. All four applications referred to above were refused and the Council’s decisions for the first two cases have been upheld at appeal. As far as we are aware no appeal has been lodged as yet against The Galleries or the Stokes Croft/Jamaica Street refusals. What impact on amenity would screens at these locations have? Does the Council really want the City’s Gateways to be characterised by egregious advertising possibly promoting products and services of little or no relevance to the City. The Cabot Shopping Centre is surely evidence enough of a progressive, commercially savvy City and it is difficult to see what an extremely bright advertisement for soap powder or foreign travel would add to first impressions of those entering the City from the M32 or Temple Way. The Society appreciates the Council’s need to find additional sources of revenue in the present climate but we strongly urge the Cabinet to reject this proposal. Digital screens, because of their intense brightness, have a much bigger impact on their surroundings than many other forms of advertising. They, therefore need to be sited extremely carefully to avoid harming local amenity and adversely affecting public safety. Bristol Civic Society is extremely concerned that the sites included in the Cabinet report fall short of these criteria. We fear approval of this report would open the flood gates for LED advertising screens in the City, one of the principal locational competitive advantages of which is the quality of its environment. This could so easily be jeopardised if the City Centre and its approaches become arenas for brightly shining commercials. In addition, we feel that digital advertising would increase danger on the roads which measures such as the brave introduction of 20mph zones, cycle routes and parking controls have helped to reduce.